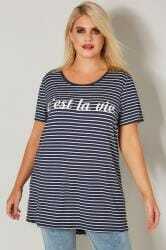 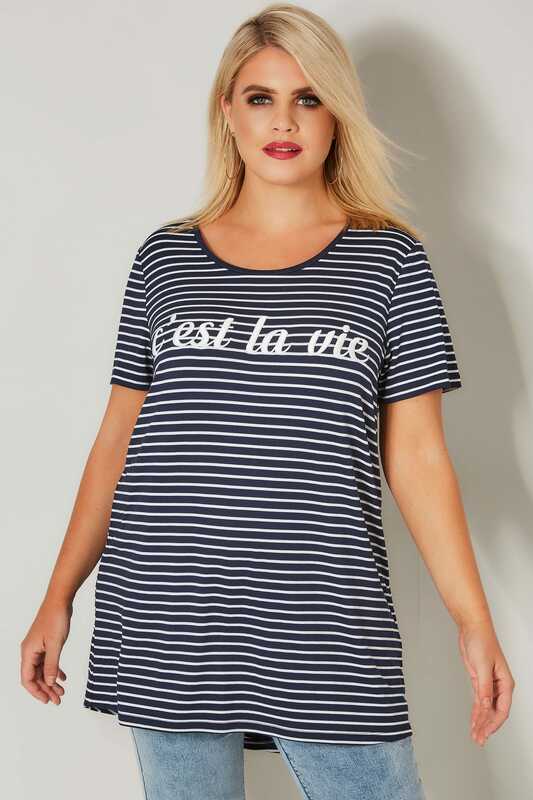 Back length from (approx): 88cm/34.5"
Channel French girl chic in this nautical-inspired striped t-shirt. 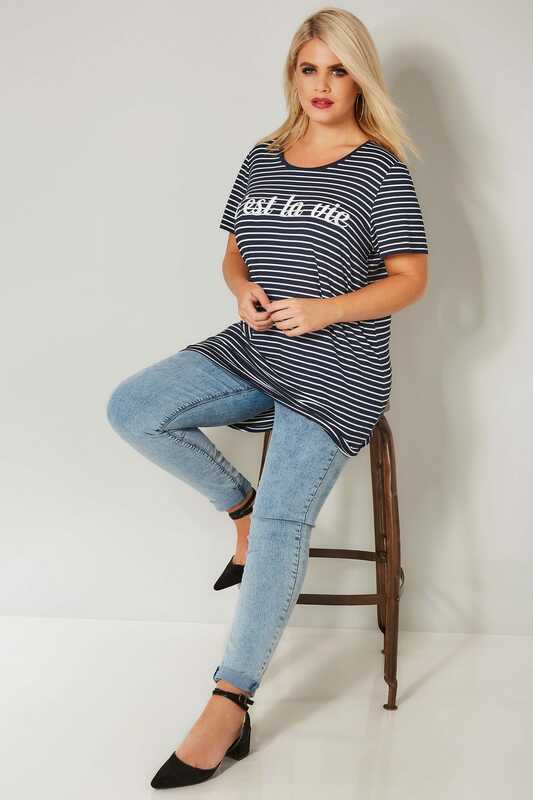 Ideal for casual wear, its flattering longline design is made from a lightweight stretch fabric and features a simple scooped neckline and short sleeves. 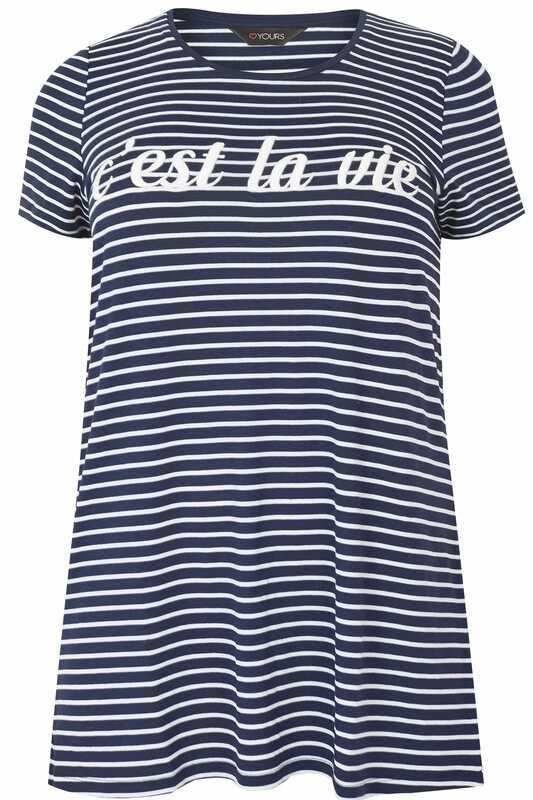 Complete the trend by matching it with navy chinos and white trainers. 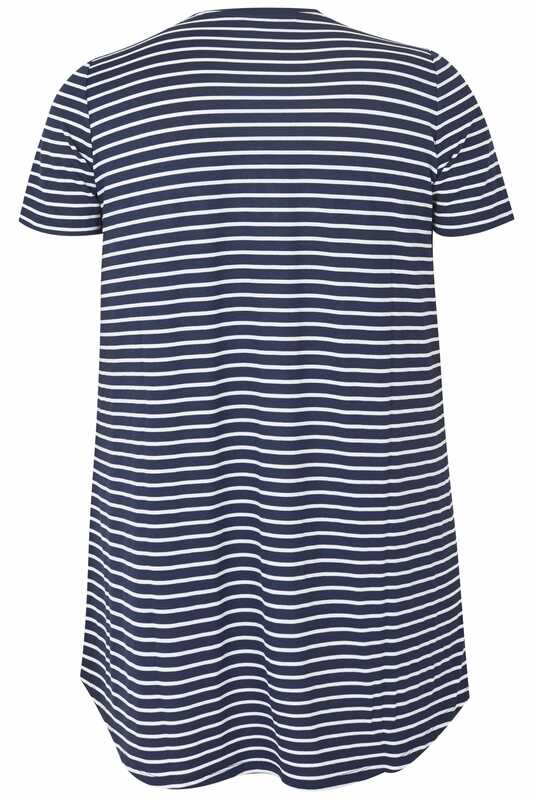 A stylish and easy-to-wear option, it serves as a casual go-to this season.